The United States will stop refueling Saudi Arabian aircraft fighting Houthi rebels in Yemen, the Pentagon and the Saudi kingdom said late Friday. The refueling change does not affect the U.S. military assistance and training to improve the Saudi airstrikes, which have reportedly caused thousands of civilian deaths. "The U.S. and the coalition are planning to collaborate on building up legitimate Yemeni forces to defend the Yemeni people, secure their country's borders, and contribute to counter al-Qaida and ISIS efforts in Yemen and the region," U.S. Defense Secretary Jim Mattis said. As a result, the decision to halt the U.S. refueling will likely have little impact on the fight, but will allow the Trump administration to say it has taken action against the Saudis for the devastation in Yemen. The Saudi statement said it had "increased its capability to independently conduct inflight refueling," and therefore "requested cessation of inflight refueling support for its operations in Yemen." The action comes amid growing congressional anger against Saudi Arabia, a key ally and the country where President Donald Trump made his first visit abroad after taking office. Crown Prince Mohammed bin Salman has attracted the ire of U.S. lawmakers in the wake of the Oct. 2 killing of Saudi writer Jamal Khashoggi, a Washington Post columnist and a critic of the crown prince, inside the Saudi Consulate in Istanbul. Turkey says Khashoggi was strangled and dismembered at the consulate in Istanbul by a 15-member assassination squad, including agents close to the prince. Members of Congress have been calling for the administration to curtail arms sales to Saudi Arabia or take other action. And with the election handing control of the U.S. House to the Democrats, it becomes more likely that some retaliation against Saudi Arabia would gain traction on Capitol Hill. The refueling decision, which was first reported by The Washington Post, has been under discussion for a few weeks. U.S. officials, who spoke on condition of anonymity to discuss internal deliberations, said Senate staffers were asked about the issue Thursday and whether their bosses would support it. Mattis acknowledged "continued bipartisan interest from Congress," and said the Trump administration is "appreciative of the continued dialogue we have had with key members on this issue." Saudi Arabia has been paying the U.S. for the refueling, but there were no details on how much that cost. Anti-war groups hailed the decision as a victory and called for the U.S. to go further in halting support for the campaign. "It's clear the administration is finally beginning to recognize that it faces insurmountable opposition to continuing to fuel the war in Yemen," Win Without War said in a statement. The United States effectively gave a green light to the Saudi-led offensive when Secretary of State Mike Pompeo on Sept. 12 certified continued American support for the coalition's air campaign against the Houthis. He said that Saudi Arabia and the United Arab Emirates were taking adequate measures to minimize civilian deaths. Mattis has made similar remarks, saying American influence on the Arab air campaign has made a difference in reducing instances of errant bombing and the targeting of civilians. In Friday's statement, he said, "The U.S. will also continue working with the Coalition and Yemen to minimize civilian casualties and expand urgent humanitarian efforts throughout the country." The coalition has come under heavy criticism for its relentless airstrikes since 2015, which U.N. experts say have caused the majority of the estimated 10,000 civilian deaths in the conflict and could constitute a war crime. Several strikes in recent months have killed dozens of children. Mattis in August noted that U.S. support was conditioned on a Saudi commitment to doing "everything humanly possible" to avoid any loss of innocent life and Riyadh supporting a U.N.-brokered peace process to end the civil war. The U.S. has provided the Saudis and their UAE coalition partners with intelligence, aerial refueling and military advice, but U.S. forces are not directly involved in the airstrikes or other aspects of the fighting. 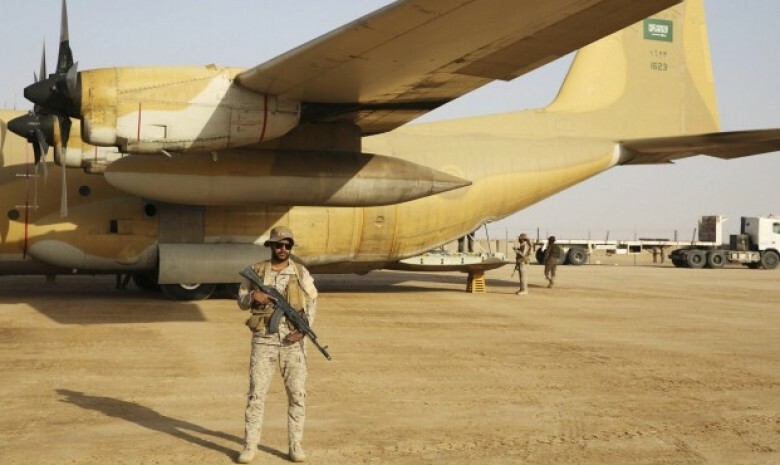 In the last month, the UAE has mounted an all-out offensive to capture the critical Yemeni port of Hodeida. The conflict has plunged Yemen into a humanitarian crisis. According to experts, more than 22 million people in are in desperate need in what is already the Arab world's poorest country. The experts documented 6,475 deaths from March 2015 until last June, but said the real figure is likely to be significantly higher. Other groups have estimated that more than 10,000 have been killed — excluding over 2,300 cholera deaths since April 2017 amid pitiful water supplies.